Home / Archive by Category "People & Places That Use Aurora Mills Salvage"
Way back in the warm days of summer, Joe contacted us on our availability of hand hewn beams for his kitchen project. He is an engineer by day and an old house remodeler by night. 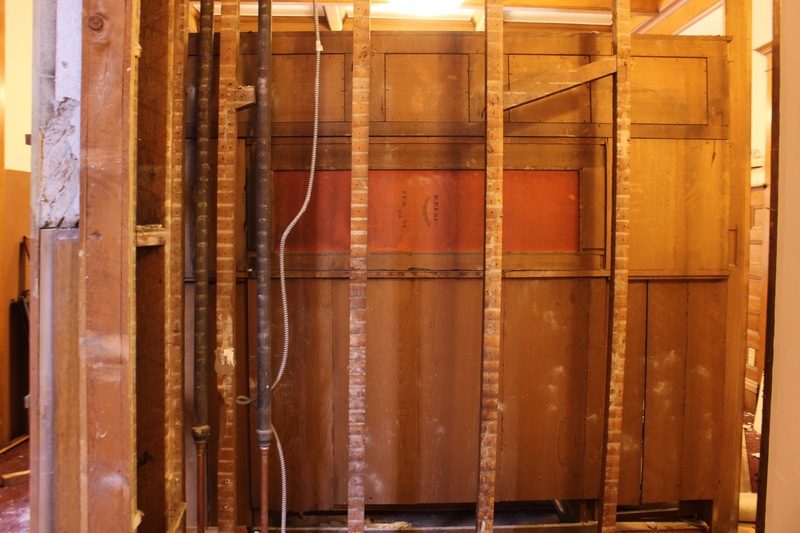 He is working on restoring his 1900s farm house and chronicles his progress in his blog, 1900 Farmhouse. He recently sent us this email: “I bought some old timbers from you guys back in the summer and when you asked what I was going to do with them, you said you’d be interested in seeing some pictures. I have a blog that I use to follow my remodel progress and I just posted on what I did with your hand hewn timbers.” I’m very happy with how it turned out….